When it comes to fertility treatments, timing is extremely important. Before the addition of birth control to fertility treatment protocols, women were constantly on the clock. Work schedules, vacations and other appointments fell by the way side to cater to the fertility treatment schedule. With the addition of birth control to fertility treatments, patients and doctors have more control over timing making fertility treatments less invasive. Why Use Birth Control When I’m Trying to Conceive? Birth control is designed to prevent pregnancy, so why is this medication used as part of fertility treatment? Researchers from Tel Aviv University completed a study in 2008 proving the benefits of a two-week low-dose birth control protocol on fertility treatments. Using the low-dose birth control, fertility doctors were able to control the time when egg harvesting was scheduled. Both patients and doctors benefit from the use of birth control. Doctors are able to hold off egg release until an appointment is available for egg harvesting and patients don’t have to worry about sitting around waiting for that call to run off to the clinic. Time slots are planned in advance easing stress on everyone involved. How Does Birth Control Increase Success Rate of Fertility Treatments? 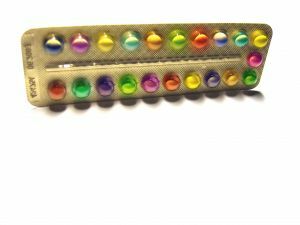 Birth control pills can correct irregular menstruation cycles. Once your cycle follows a set, regular pattern, IVF treatments are easier to schedule. Regularity of your menstrual cycle is crucial to the success of IVF treatments. Do I Have to Take Birth Control as Part of my Fertility Treatments? There is no set rule that says all women have to take birth control to conceive with fertility treatments. As a matter of fact, not all fertility clinics use birth control as part of the IVF cycle. If you are uncomfortable with the idea of using birth control and your doctor is pressing the issue, interview other fertility doctors to find one that does not require birth control treatment.